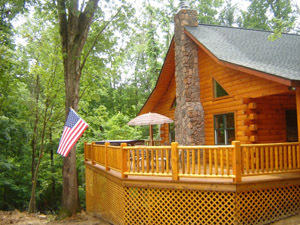 We want to welcome you to Irish Ridge Cabins! Family owned, operated, and cleaned with love and commitment. 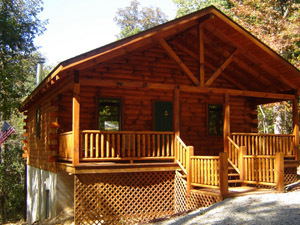 We have two beautiful smaller cabins that sleep six each, and Our Gorgeous Duffy’s lodge sleeps twelve. All three are wonderful getaways with all the comforts of home- in one of the most beautiful settings around, The Hocking Hills. 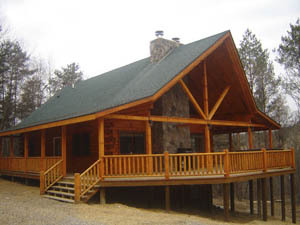 Come relax at one of our secluded cabins and enjoy the serenity of nature and the fun of staying in a beautiful log home. Growing up in this area we have a lot of knowledge regarding the Hocking Hills and are excited to have you visit. We promise to provide you with a very clean, very relaxing stay. Whether you are lounging on the huge deck under the sun or stars or relaxing by the wood burning fireplace, we will do our best to make your stay in the Hocking Hills extra special. © 2015 Irish Ridge Cabins - all rights reserved design by American Dreams Inc.